Guipure lace is renowned in the world of African textiles as an essential bridal fabric. It was inspired by 16th and 17th century, scalloped lace, enhanced by geometric patterns, on display in the Cluny Museum in Paris, France. Guipure was first manufactured on a larger scale in the 1860s in the Lorraine district of France, with manufacturing branching out to Nottingham in England and Bruges and Ypres in Belgium in the 19th century. It is manufactured by first embroidering rayon and cotton thread on to acetate and then soaking the acetate in acetone to dissolve it, leaving the intricate embroidery as the finished product. This makes Guipure lace particularly strong and durable. Also known as Venetian lace, it is an elegant fabric, hence its popularity for bridal gowns. The pattern of the lace comprises a continuous motif, often featuring a geometric or floral design. For a bride who doesn’t like net, but who wishes to include lace in her wedding gown, the elegant and eye-catching look and feel of Guipure lace makes it an ideal choice. It is also surprisingly easy to sew, as it’s a robust fabric that can be used either in the skirt, bodice or train of a bridal dress. 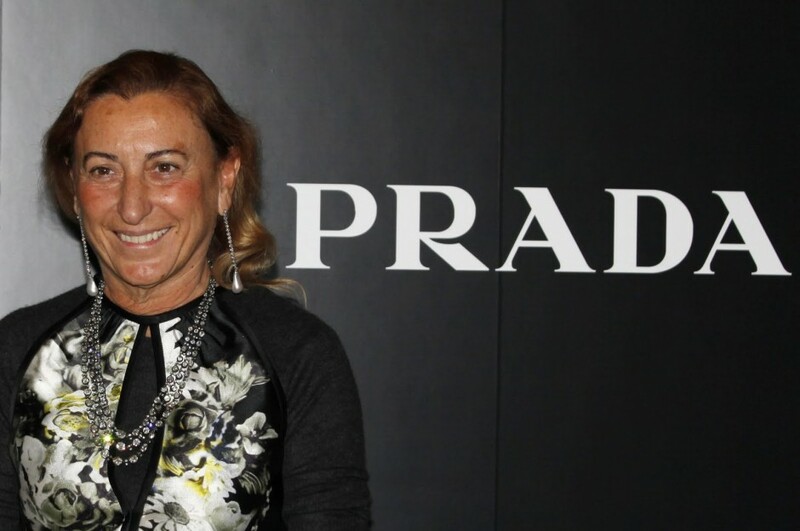 Guipure lace has been a popular choice for world-renowned French fashion designer Miuccia Prada, who has featured the fabric in a number of her catwalk shows. Semi-sheer Guipure lace dresses were modelled alongside avant-garde skirt suits, where the black, opaque material of the bodice contrasted with the sheer look of the lace, revealing the model’s legs through the skirt. Other creations from Prada included mixing heavy Guipure lace with light, fine lace, or having lace panels stitched into silk dresses which were screen-printed with a lace design. This has created a new aesthetic for Guipure lace, taking it away from its usual association with bridal wear. 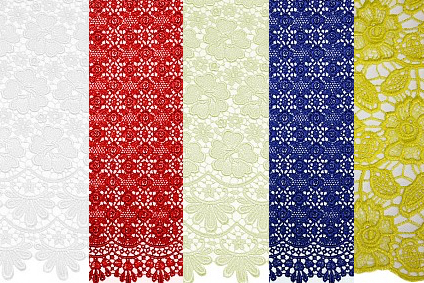 Here at Empire Textiles, our stunning Guipure lace is available in a wide range of patterns and colours, which will suit any requirement. A garment made from Guipure lace will make a perfect addition to your collection of West African clothing.